Snowbound in the Yukon: Look what I got! 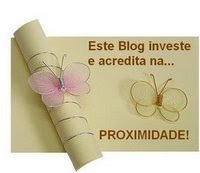 This blog invests and believes, the proximity. [meaning, that blogging makes us 'close' -being close through proxy]. They all are charmed with the blogs, where in the majority of its aims are to show the marvels and to do friendship; there are persons who are not interested when we give them a prize, and then they help to cut these bows; do we want that they are cut, or that they propagate? From my dear friend Pretzel over here. We've started writing together in a writer's group years ago now and still keep in touch through blogs and over at NOTI. She's a great writer, very interesting woman and apparently has tons of pets! Now to post the eight others who deserve this award. I'm going to try and come up with some writer's who may not have received this yet and writer's that I read and read here. This should be fun. First there is Amanda. I love reading her stories about her horse Zydeco, who is a very beautiful animal. She funny and witty and I just love to read her blog. Jessica, over at The Domestic Goddess. We have boys the same age and I love reading her updates. I have to include Jouette, her posts are thoughful and inspirational. I really feel at peace when reading her writing. One Step Closer is a blog I've been following for sometime as well. We also have children the same age and I thnk we met at either a playgroup or a board that exploded a few years ago. I have such a bad memory. But she's back after about a year of being off line and it's great to read her again. Pie is the New Toast is another writing I've know for years. I think she may be my oldest online friend back to 2001 or 2002 I think. She posts some great reviews, recipes and everyday life post. You'll like her. The other Amanda I read over at The Pursuit of Sanity. She has three beautiful children and talks on many subjects. One of my bestest girlfriends, that I've known since Grade 8. She takes lots of fun quizes and talks about lots of subjects. Here's Cyndi at So many obsessions. Jody of at Random Musings of a Frogged Mind is fun to read. So there ya go, a few of the bright and funny women that I read whenever they post, I am sharing with you my readers. Enjoy! Hey! That's cool! :o) I think you've got pretty good taste, so I'll have to check out those other blogs! Thanks! WOOHOO! I've been mentioned, I'm famous!! Ok, maybe not, but thanks S!